Rhino horn and elephant ivory will no longer adorn the shelves of an Australian auction house, after public backlash and a social media campaign forced the items to be removed. Lawson's, an auctioneer based in Sydney, has been the target of animal activists since August, for auctions featuring western black rhino horns, elephant tusks and a gong embellished with tusks. The auction house originally stood to profit handsomely from the items - an estimated $70,000 for the rhino horns, $70,000 for the tusks and $16,000 for the gong with tusks. Now, it's chosen to forego those profits. Starting on Tuesday, the Humane Society International, Greenpeace and International Fund for Animal Welfare began peppering the auction house with calls to dump the wildlife products on social media. Concerned citizens began calling the auction house directly, and at least one artist vowed to pull a painting she'd made that was to be auctioned off there unless the items were removed. Just an hour after the tweets and calls began, Greenpeace reported that the auctioneers agreed to stop selling the black rhino horns. 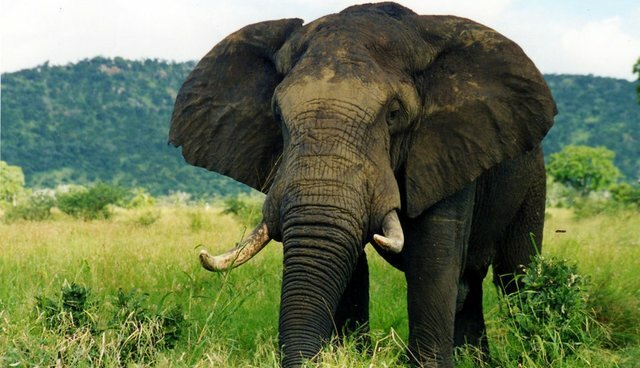 They were still planning to auction off the elephant tusks - until Lawson's tune changed right after a story on the debacle was published in the Sydney Morning Herald. "We decided the correct thing was to withdraw it and not encourage the sale of these kinds of items in the future. Even if it doesn't encourage trade, it's the right thing to do."